I was recently lucky enough to be a part of a wonderful live music performance. The gig was called B.B. 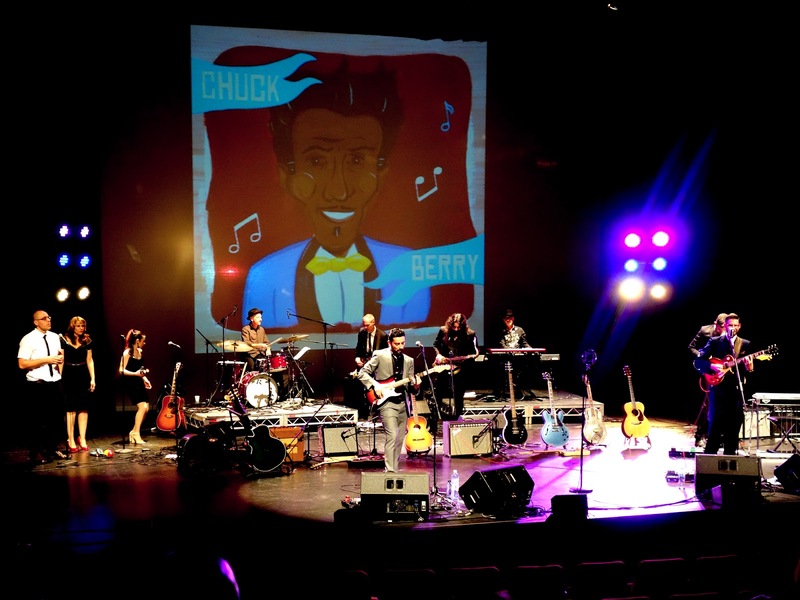 King, Chuck Berry and Beyond : The Pioneers of Rock 'N' Roll and featured an ensemble of talented Sydney musicians from the Drey Rollan Band and The Cruisin' Deuces it was part of the very first, Sydney Guitar Festival. Drey had heard about my work painting iconic musicians for my upcoming exhibition 'Face the Music and asked me to illustrate B.B. King and Chick Berry and design a poster for the event. They also projected a massive time-lapse animation of me painting the portraits over the stage on the night. The night was divided in three sections. During the first section the band played the songs that influenced the careers of B.B and Chuck, the second section showcased the songs of B.B. 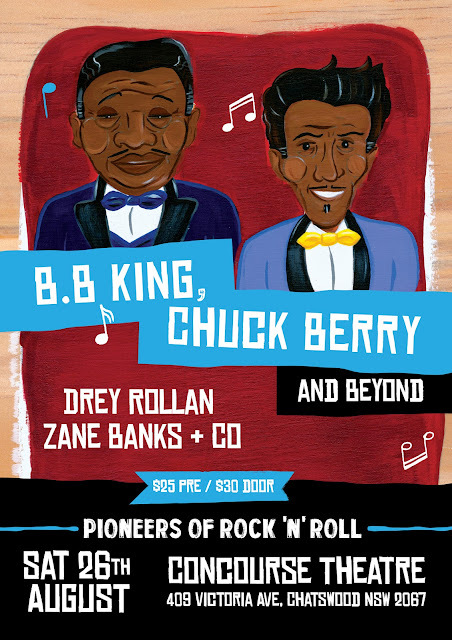 King and Chuck Berry and during the third section the band went on to perform song from musicians that have been influenced by B.B. King and Chuck Berry. All in all it was a fantastic night and I am super proud to have been part of it.